When Greater Rochester Enterprise Inc. president Mark Peterson graduated from St. John Fisher College in 1983, Kodak was king. The film giant was riding high, the beneficiary of decades of research and development in chemical processes that led to industry-leading film and related products. Typical of the era’s large technical companies, Eastman Kodak Co., along with Xerox Corp. and Bausch & Lomb Inc., led the region in patent production. After graduation, Peterson moved away. When he returned in 1995, change was in the air. Kodak’s switch from film to digital was under way, Bausch & Lomb was winnowing its business lines, and Xerox was narrowing its focus to digital technology. Local residents, accustomed to years of business as usual, were on edge. Some bemoaned the changes as signs of a faltering economy. "In the mid-1990s, companies were doing a shift back to core businesses, shedding off these diverse businesses that were very hard to manage because they all had their own business models," said Katie McGuire, partner and chair of the intellectual property department of Woods Oviatt Gilman LLP. Peterson says Rochester was entering a new age of innovation. "I never thought the economy was bad in Rochester," he said. "I thought it was just in transition. What we now see is that transition is coming closer to completion." "Innovate or die" has become the rallying cry of the new economy. But innovation here is nothing new, said Gail Norris, vice provost for technology transfer policy and director of the Office of Technology Transfer at the University of Rochester. "This community started with entrepreneurs like George Eastman who had the idea, the new technology, without a big business," she noted. Rochester’s first innovations were in the "what" of business: the Gleason Works’ gear-cutting machinery, Bausch & Lomb’s eye-care products, Xerox’s office equipment and Kodak’s cameras and film. As ideas were commercialized, businesses flourished. Fast forward to the 1980s. Many area workers punched in at one of three or four big firms or their suppliers, Peterson said. Large companies, in Rochester and around the country, had built sophisticated internal R&D departments in the years following World War II. Innovation had come to mean controlling, owning and developing intellectual property in ways that advanced the business. Working with the area’s big firms with robust R&D forced smaller firms to become more innovative, Peterson said. "The ones who found a new solution and new markets, they innovated and continued to grow here in Rochester," he said. In 1980, Congress passed the Bayh-Dole Act, giving universities-as well as small businesses and non-profits-the rights to their own inventions and intellectual property, even those realized through federally funded research. Previous rights went to the U.S. government, where research could languish for years, McGuire said. In Rochester, with two research institutions, the law changed everything, Norris said. While the big firms continued to produce hundreds of patents a year, university-born discoveries that once sat on a shelf now could become the seeds of new local companies. "We have 40 to 50 local startups that have spun out in the last 10 to 12 years," she said. "Most of them are still in existence at different stages of revenue generation." UR and Rochester Institute of Technology were different institutions in the 1980s, Peterson said. "These were not world-class institutions 25 years ago-very good, but not world-class," he said. "These are now powerhouses talked about anywhere in the world." At the end of 2011, UR was the region’s leading employer with 23,485, according to a recent report by the Center for Governmental Research Inc. The university’s regional economic impact rose to well over $2 billion. Technology offices like the one Norris oversees find ways to make money off of faculty research. UR last year received $415.2 million in federal research funding and RIT, $52.4 million. Much of UR’s research is in the life sciences. Among the companies it has spun off: VirtualScopics Inc., a medical imaging company; Praxis Biologics Inc., a vaccine manufacturing process developer now part of Pfizer Inc.; iCardiac Technologies Inc., an electrocardiogram core laboratory; and SiMPore Inc., a manufacturer of membrane technologies. UR this year launched a pilot program called Excubator to grow imaging and optics technologies coming out of the Flaum Eye Institute. The Center for Emerging & Innovative Sciences is one of 15 state Centers for Advanced Technology. And UR’s Technology Development Fund gives commercial legs to research done on campus. "The quality of research and the depth of science in that two square miles in Rochester is astounding," Norris said. "It’s really very cool, a little enclave of just unbelievable researchers." RIT’s Venture Creations incubator supports young companies with staff, faculty expertise and connections to investors. Its Center for Student Innovation-along with UR’s Center for Entrepreneurship-grows business ideas. Few organizations that fund and help focus local startups and early-stage companies were around in the late 1980s, McGuire said. One was High Technology of Rochester Inc., created in 1987 by the Greater Rochester Metro Chamber of Commerce Inc., RIT and UR. Most innovation-related efforts have begun in the last decade or so, such as Eastman Business Park and Rochester Tech Park-both former Kodak facilities; HTR’s Lennox Tech Enterprise Center; and the Innovation & Materials Science Institute, a collaboration of academia and business. Funding comes from a variety of sources, including the Rochester Angel Network, Excell Partners Inc., the Monroe Fund and the University Technology Seed Fund through Trillium Capital Partners; and RIT’s Pre-Seed Fund. Innovocracy Ltd. and others connect investors to funding. Further support comes in the form of pre-seed workshops, startup gatherings and organizations such as the Upstate Venture Association of New York Inc. and Digital Rochester. There is talk of a student-operated venture fund for local colleges and a loan-forgiveness program for students who start businesses here. That these groups exist-and that Rochester now is on the radar of out-of-town venture capitalists-is a testament to the growing number of local firms sprouting out of innovations in products and services, Peterson said. 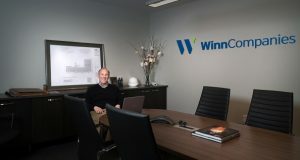 "We have an established angel network, serious investors who have connections," he said. "All we do in this arena is much, much more than we were doing four or five years ago." Which is not to say the big firms have stopped producing patents, McGuire said-far from it. Xerox was No. 12 in the country for number of patents issued (659) in 2010, up from 417 in 2006. Kodak remained at No. 14 (293), though it produced less than half its 2006 total of 640. Forbes magazine ranks Rochester in the top five cities for patents per capita. "It’s still very busy," McGuire said. "Just because you’re seeing Kodak slide it’s not indicative of what’s happening everywhere. It’s happening to them, but everything else is sprouting up around them." Peterson said his own organization is "radically different" from when he started seven years ago. Written proposals are out; in are a smartphone app, robust Web presence and 24/7 availability to companies interested in the area. "On Tuesday we’ll set up a site visit. By Friday they’re here," he said. Rochester appears on "most innovative" lists with regularity. It is one of 35 innovation hubs (The Atlantic), one of the most innovation-intensive metro areas (The New Republic), one of 10 underrated hotbeds of American innovation (Fast Company) and one of the most innovative cities (Forbes). The Brookings Institution last year ranked Rochester the third-best U.S. economy and the 46th-best economy in the world, Peterson said. One of the biggest misperceptions Peterson encounters: that Rochester is struggling because Kodak is shrinking. "The rest of the world still thinks that’s what defines us, but we dealt with that some time ago," he said. "The run with Kodak and other great companies was a great run; it was a hundred-year run," Peterson said. "The question is, what’s going to be our next run?"